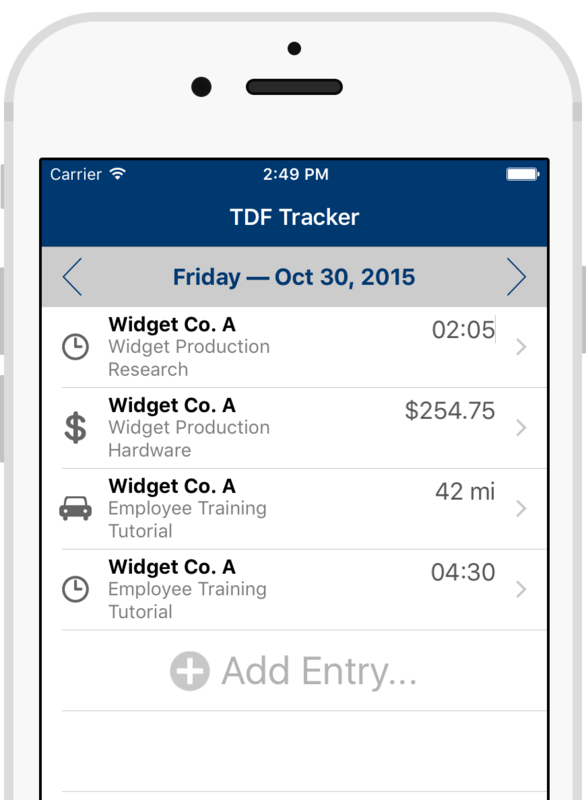 iPhone Applications, Programming & Network Consulting | Technical Data Freeway, Inc.
TDF Tracker offers a flexible and efficient way to keep track of your time, expenses, and mileage on your iOS device. We have been offering consulting services in the San Diego Area for many years. © 2006-2016 Technical Data Freeway, Inc. All rights reserved.